Sunday’s match is the sixth and final meeting between the Ambush and Tropics this season. The Ambush hold a 3-2 advantage in the five previous encounters between the two teams and won the last game, a hard-fought 10-9 overtime match played at the Family Arena in St. Charles, Missouri on February 24. After losing five straight, the Tropics defeated the Orlando SeaWolves 7-5 last Saturday at the Silver Spurs Arena. The Ambush are looking to rebound from a tough weekend last week that saw them lose 8-5 to Harrisburg on Saturday and 6-2 to Milwaukee on Sunday. Those two games were less than 18 hours apart. Forward Zach Reget leads the team in points (27) and goals (19) and is tied in points per game average (1.4) and in game-winning goals (2). He leads all rookies in the MASL in goals scored. Reget has been named MASL Player of the Week once, named to the Sporturf Team of the Week twice and earned honorable mention four times. Zach is a candidate for Rookie of the Year. Has two goals and two assists in his last three games. Forward Justin Stinson is second on the team in points (26), goals (17) and is tied for second in points per game average (1.3) and game winning goals (2). Another candidate for Rookie of the Year, Stinson leads all rookies, except teammate Zach Reget, in goals scored. Has two goals in his last three games. Midfielder Lucas Almeida leads the team in assists (18) and is third in points (25) and is tied for second in points per game average (1.3) and in game winning goals (2). Has one goal and five assists in his last three games. Defender Felipe Silva, (otherwise known simply as Felipe) has earned a spot in the “Substitutes” category of the Major Arena Soccer League’s Team of the Week for Week Fourteen of the 2018-19 regular season. The Team of the Week is arranged like an MASL lineup card with “Starters”, “Substitutes” and “Bench” categories. Felipe scored two goals in last Saturday’s loss to Harrisburg. He has appeared in all 20 Ambush games thus far this season, posting four goals, five assists and blocking 13 shots from opponents. Guilherme Dos Santos leads the team in goals (15) and average points per game (1.8). Has not played since January 26 due to injury, but had six goals and an assist in his last three games played. Victor Parreiras leads the team in points (21) and game winning goals (2). Has two goals and three assists in last three games played. Ricardo De Queiroz Diegues leads the team in assists (13). Has three goals in last three games played. Antonio Manfut was traded from the Ambush to the Tropics on January 16. Has four goals and three assists in his last three games played. Following Sunday’s clash in Florida, the Ambush will battle the Milwaukee Wave in Milwaukee on March 17, then duel the Kansas City Comets in Independence on March 23. 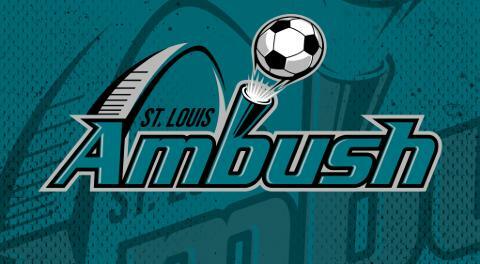 The Ambush are also offering a special package for the visit to Kansas City where fans can see the game and get round trip bus transportation for only fifty dollars. Fans can register online by clicking HERE now or by calling the Ambush office at 636-477-6363. The Ambush return home for the regular season finale when the Wave invade the Family Arena Friday, March 29 at 7:35 p.m. CDT. The first 1,000 fans in attendance March 29 will receive Ambush Player Card Set 5.